Last week, news broke that the BBC is cracking down on the gender imbalance of comedy panel shows – from now on, according to Danny Cohen (head of the BBC’s TV output), there will be no more all-male panel shows. All new episodes of series like QI, Mock the Week and Have I Got News for You will have to include at least one woman. This is something of a victory, but an interesting situation for funny women to find themselves in. Will they want to be a ‘token’ woman, at risk of mockery from some of comedy’s most cutting men? Will they be able to find enough women willing to step up and take a seat on such shows? The first is a question that is up to individuals to answer. (Jo Brand has already publicly said she won’t accept invitations to appear on Mock the Week because of its culture of having to “bite off someone’s foot in order to say something”.) The second though, surely shouldn’t be an issue. The world is full of funny women – the producers of such shows may just have to put some work into finding them. It’s strikingly similar to the situation in the church regarding women speakers at Christian events. So often the excuse for all-male line ups is “we didn’t know of any women who could do it”. Just like the church, on the comedy circuit, there are far more men than women. Women get stereotyped as only being relevant to other women (although, even if this were the case, that’s still 50% of the population). There is a bizarre, yet widely held view, that women just aren’t funny. In my humble opinion, this is ridiculous. I was once part of a conversation involving two (respected) male friends, one of whom – very sweetly – insisted that I was a funny woman. But, he also insisted that I was a very rare instance of such a creature. The other friend, while accepting that I was amusing, could not name any women he genuinely found funny on TV. We were en route to a pub and once we got inside, the debate continued, involving more people. I know that some of the guys were deliberately playing Devil’s Advocate, but it goes to show that the belief is a widespread one. But, to get back to the BBC. It’s a good decision. In the whole intentional versus token debate, while some might argue it smacks of tokenism, I’d argue it’s actually a great example of intentionality. People have been complaining about the lack of women on theses shows for ages, but little has changed. Now that they have to have a woman (or more! ), they will be forced to get out there and find them. In the process, hopefully lots more opportunities will open up for female comics. 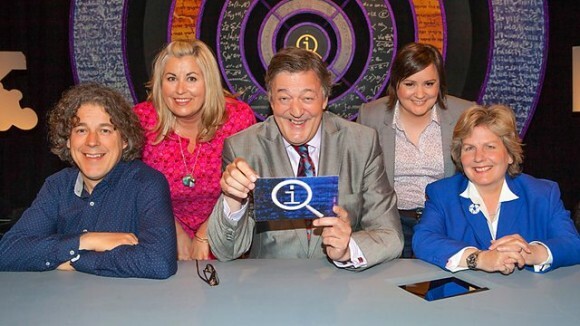 I think, but am not certain, that this is the only majority-female line up QI’s seen. Personally, I think some of the funniest QI’s have been when Stephen Fry and Alan Davies have been outnumbered by women. (Such as Kaleidoscope, featuring Toksvig; Calman & Tarbuk.) 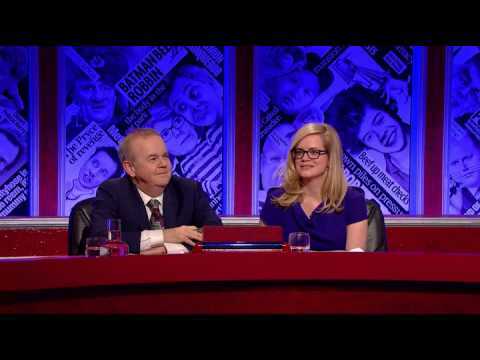 In fact, one of my all-time favourite QI’s saw a balance of genders amongst the panel (Alan Davies, Revd Richard Coles, Sue Perkins and Victoria Coren-Mitchell in Knights & Knaves) which was only marred by Coles’ regular use of the term “clergyman” when a non-gender specific term could have been used just as appropriately.